Learning to swim and developing water confidence are so important for children. When you are on holiday though, you can get caught between the desire to have fun and the need to stay safe. Holidays are about having fun and relaxing, but that doesn’t mean that as parents we can take our eye of the game when it comes to staying safe around water. It’s a tricky balance sometimes as equally you don’t want to be THAT parent who ends up discouraging the children from actually getting wet and enjoying themselves. If you are too protective, you can actually end up making your children fear water – and we don’t want that either. It will depend on the age of your children and also how competent they already are in water, how much they can get involved with water activities on holiday. Obviously it depends where you are going on holiday and what facilities are available as well. For example many holiday parks have splash pools and fun areas for little ones to play in. These can be great for five and under to build confidence and just enjoy splashing around in the water. There might be water jets or sprays and there may be some equipment available for them to measure water from one thing and tip into another. As basic as this might sound, these kinds of activities are brilliant for building up children’s confidence and getting them happy in water. You can start of with a small amount of time and build it up if they are cautious at first. Our problem has always been getting the children out of the water, as they all love it, but we did go through a period where one of them would get very cold, very quickly. Slightly older children might enjoy a small water slide, or you could all float around the lazy river together – just make sure you hold onto any non-swimmers and you have the correct adult to child ratio – if you have a few children close in age you can come unstuck with this. Sometimes, children being confident in water can simply be about what they are wearing. For example, perhaps you have a Batman fan? Would a pair of Batman swimming shorts give them confidence? 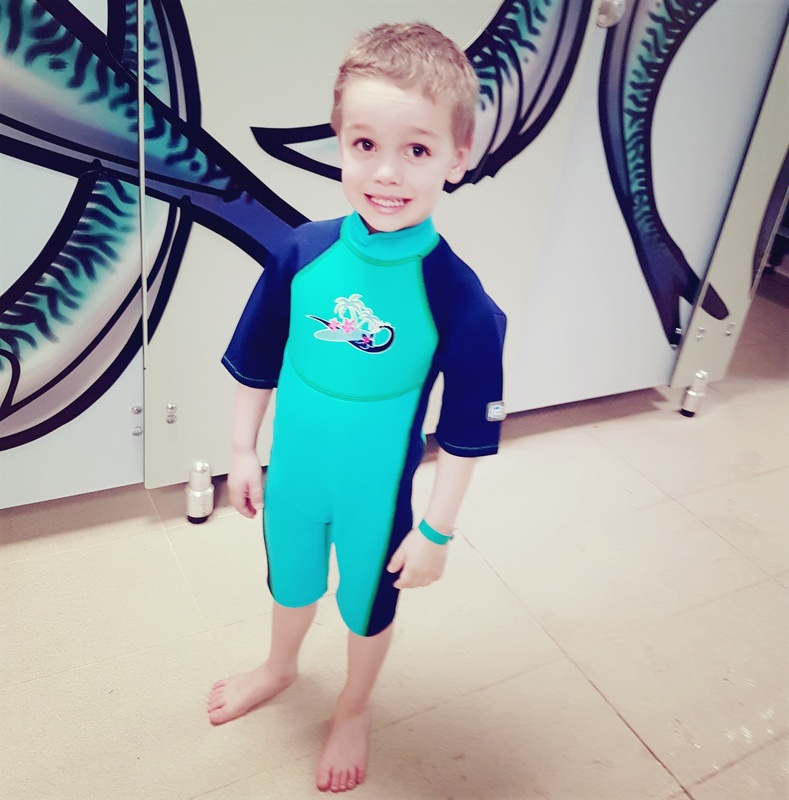 Our children love PJ Masks at the moment, so this Gecko UV Sun and Sea Suit has really gone down well on holiday this time. Our youngest thinks he has super gecko camouflage and super gecko lizard grip and he can basically take on the world now, never mind the swimming pool! These suits are fantastic and it really doesn’t matter if you are at the beach or using indoor or outdoor pools, they work for both. The UV protection means that if you are out in the sun you have that extra piece of mind. 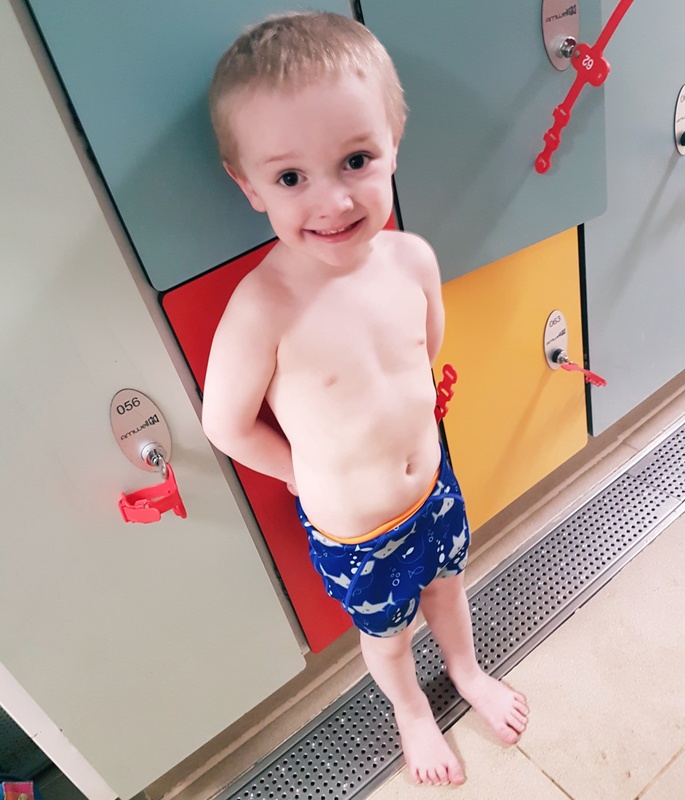 If your little one is prone to getting a bit cold, these suits really help with that too and just take the edge off, so you can all enjoy time in the water that bit longer. If they really get chilly and need something a bit more heavy duty, yet something they can still enjoy playing in and of course still move about, you could try them in the shortie wetsuit. 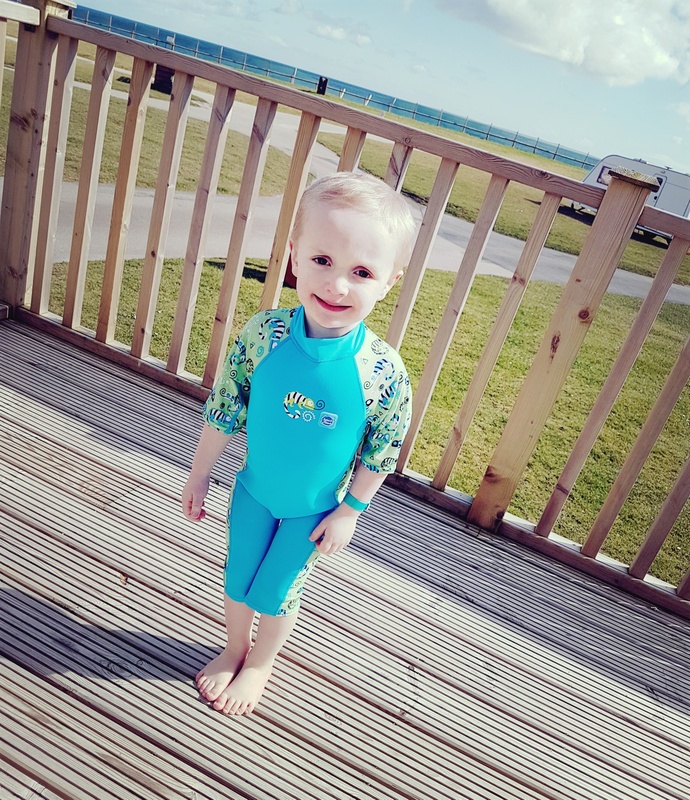 The super soft, flexible 3mm thick neoprene on this children’s wetsuit will ensure that your child stays warmer for longer in and out of the water. A chunky back zip with pull tab makes putting it on and taking it off easy. If they don’t feel the cold too badly and just fancy some funky shorts or a costume, there are loads to choose from. Also, the Splash About range produce a range of costumes and suits with built in flotation, as well as flotation jackets. We’ve bought so many Splash About products over the years and we’ve never been disappointed. If you have a baby still in nappies, I strongly recommend the Splash About Happy Nappy which prevents any mishaps in the pool. 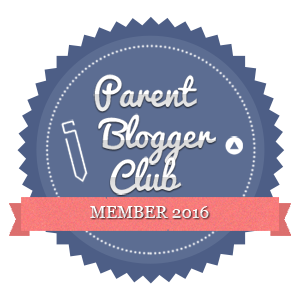 We’ve used these with all four of our children and they are just fantastic. 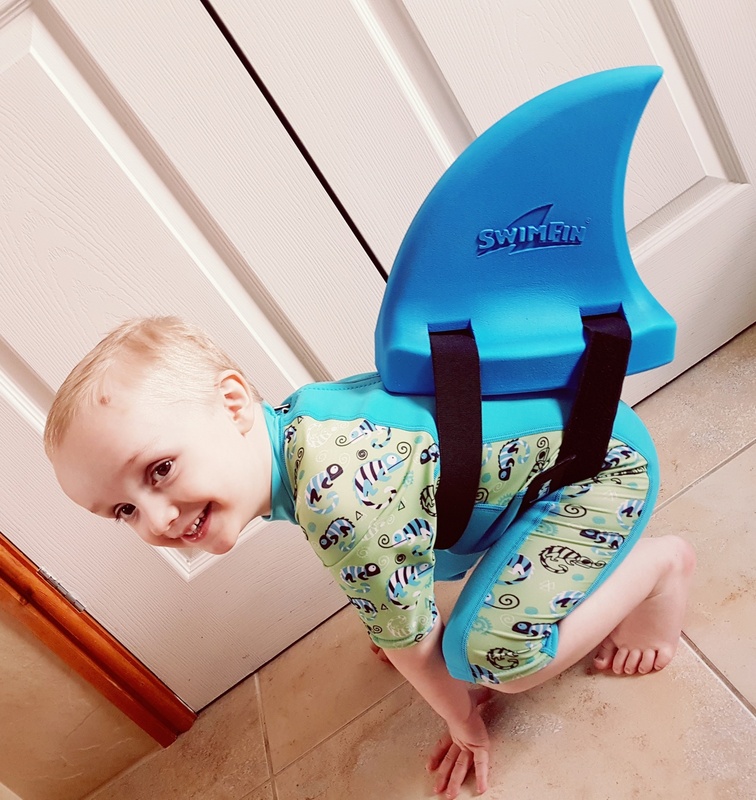 If your children don’t like the idea of a flotation jacket, or floats built into their swim outfit, what about trying something like a SwimFin? These tick so many boxes. They provide you as parents with that extra piece of mind when the children are in and around the water. The children will love to wear them as they can pretend to be sharks – keeping swimming ‘fun’ at all times. They are super comfy, so you won’t get any complaints and very easy to put on and take off too. SwimFin is worn on the back and expertly weighted to provide support when needed. 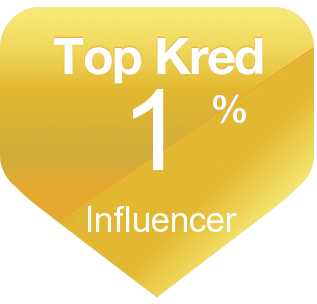 SwimFin has won many international awards and is endorsed by several swimming governing bodies! It’s basically a teaching aid, flotation device and toy all in one go – children are learning through their play, which makes life easier for us parents and more fun for the children, so it’s a win win as far as we are concerned. I think one of the main things that encourages water confidence in children is if parents are enthusiastic and if everyone can have fun together. I struggle if the children splash me in the face as I wear contact lenses, but I know some parents that won’t even go in the water, and some who can’t swim themselves and therefore don’t feel confident taking the children in. 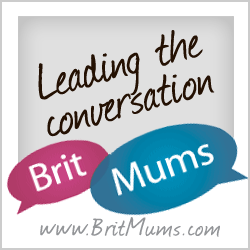 Are your children confident in water? How do you encourage this?